It is located near the a/c compressor.Its bit difficult to see and locate. Carefully look at the intake manifold, it is located on the intake directly behind the alternator. Right where the heater hose is. Follow the wiring down to the sensor. The space room to get the sensor out is very less.You need to get the Alternator off,if there is problem in removing the ECT out. 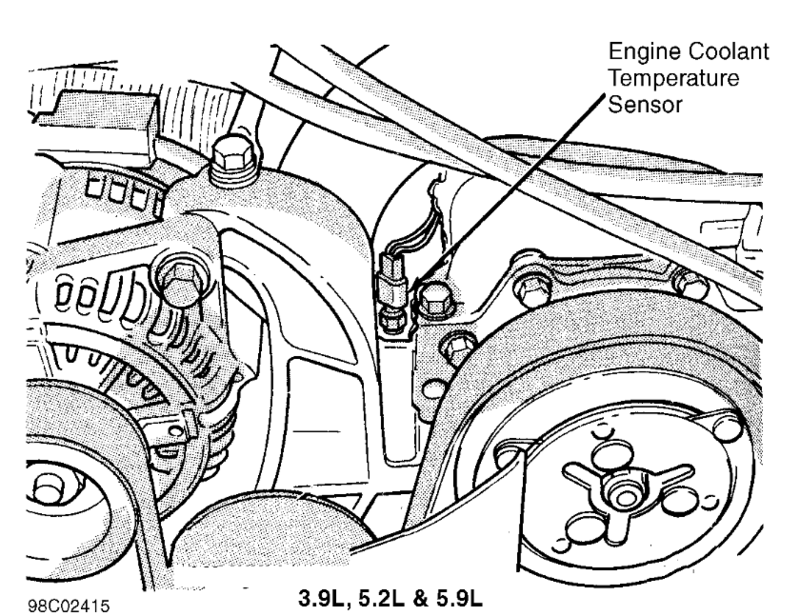 see below more help details and diagrams to get Engine coolant temperature sensor out. It is located directly behind the alternator. Partially drain cooling system. Refer toCooling. When removing the connector from sensor, do not pull directly on wiring harness. Fabricate an L-shaped hook tool from a coat hanger (approximately eight inches long) Place the hook part of tool under the connector for removal. The connector is snapped onto the sensor. It is not equipped with a lock type tab. Tighten to 11 N·m (8 ft. lbs.) torque. Connect electrical connector to sensor. The sensor connector is symmetrical (not indexed) It can be installed to the sensor in either direction. Replace any lost engine coolant. 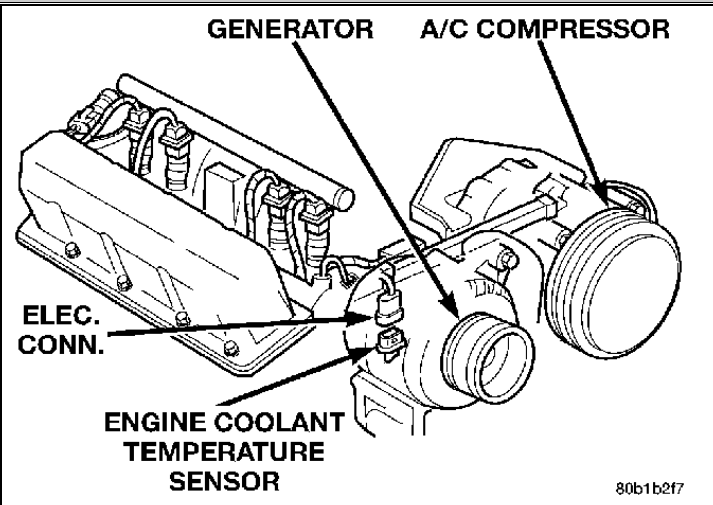 GMC Engine Coolant Temperature (ECT) Sensor Replacing? Replacing Oldsmobile Engine coolant sensor? How to test Engine coolant temperature sensor? Coolant Level Sensor on Audi A4?